Description: Milton K. Paine was a pharmacist as early as the 1840’s in Windsor, Vt. M.K. Paine is best known for the “Celery Compound” Medicine, the earliest of which came out in the 1880’s. 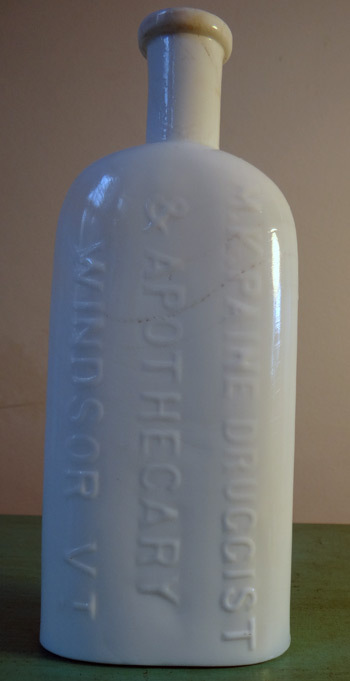 I have found several unique paper label medicines with M.K. Paine dating to 1864 (as shown with tax stamp). 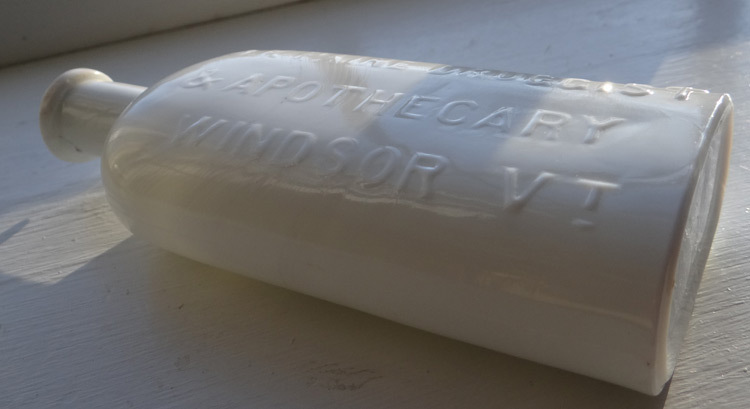 This is the only Vermont Milk Glass Medicine known, from Windsor the birth place of Vermont (1791). American c. 1860 Oval milk glass, smooth base. Best example I have seen. Condition: Excellent, embossing is very good; there is a in-making rough spot on lip. 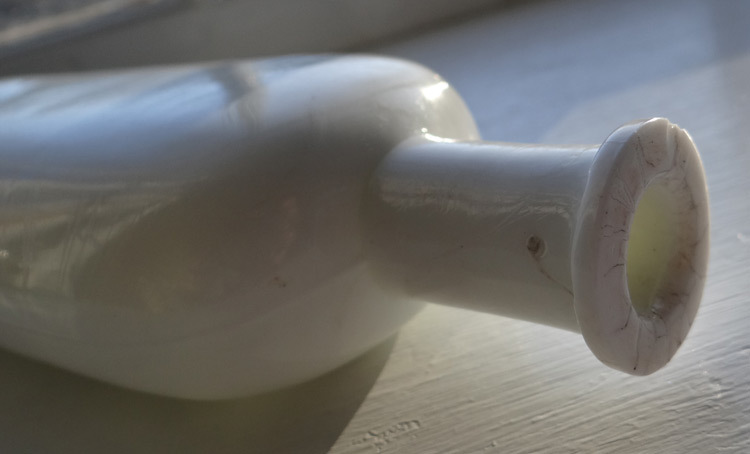 Milk glass is tempermental; these examples often have crazing and crudeness on lip.